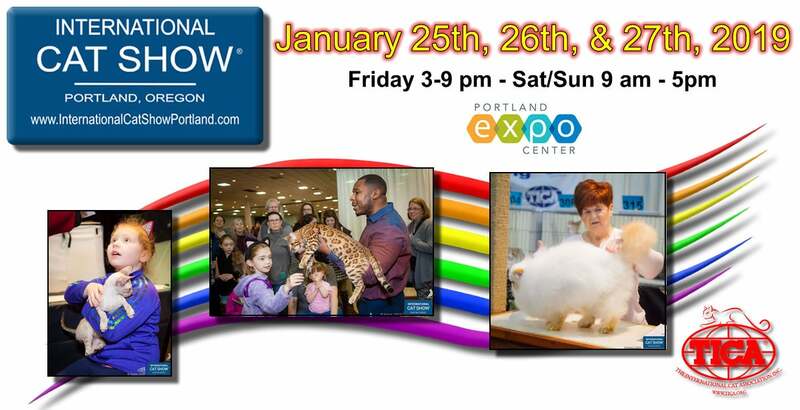 The fabulous felines are coming to the International Cat Show Portland®! This is one of the largest feline events in the region, and the show is hosting hundreds of cats that will be vying for awards and recognition. International judges will oversee the proceedings and the public is invited to watch all the action. Judges from around the world, including The Netherlands, United Kingdom, Austria, Russian Federation, will be officiating. Spectators will always be able to admire the cat contestants and talk to their owners, as judging is continuous with multiple rings evaluating the contestants all day.